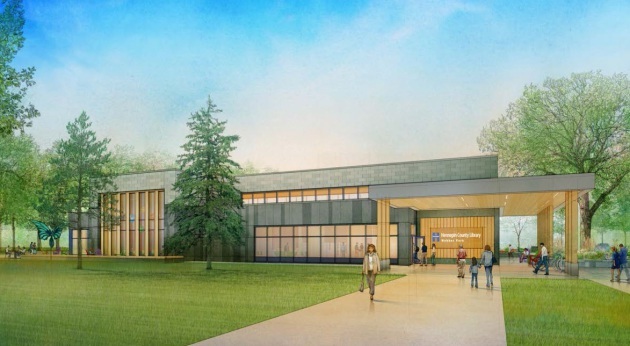 They’re breaking ground Tuesday evening in north Minneapolis for a new Webber Park library that will be almost five times the size of the rental space that area patrons have been using since the ceiling fell in on their old library building. The $10.5 million project is scheduled to open the new library in the summer of 2017. That’s four years after the old library closed after ceiling tiles began falling on library users, forcing the county’s hand on a project authorized by voters in a 2000 bond referendum. The new library will be twice as big as the library that stood in Webber Park for a mere 34 years. The groundbreaking is scheduled for 5 p.m. at the site at 4440 Humboldt Avenue N.
Architect Mohammed Lawal used terms like “subtle and demure” to describe the design of the one-story building he designed, but said it’s also intended to convey a sense of permanence desired by area residents. 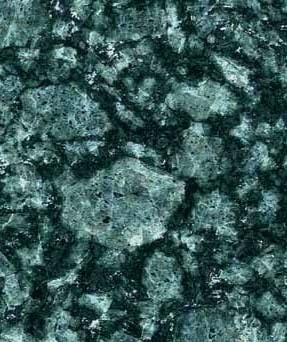 The latter quality is reinforced by Lake Superior green granite, a darker shade that’s used on the base of the flagpole that is the centerpiece of the World War I monument up the parkway on Victory Memorial Drive. Much of the rest of the building will be clad in zinc that will start greenish but weather to gray. The building also will feature accents of Douglas fir. Lawal said he initially hesitated to use the granite, lest the building infringe on the memorial. But people in the area encouraged him to think of the building as heralding the start of the 568 markers to the Hennepin County dead of that war that begin on the west side of Humboldt Avenue N., diagonally across from the site. The history angle also will be reinforced by plans to have a display space for area history near the main entrance to the building. The building’s 8,300 square feet will feature expanded children’s teen and adult sections, plus a conference room and two meeting rooms that the old library lacked. The conference room will look out on an outdoor patio reading area on the side of the building facing Hamilton Manor, a public housing building for seniors. The Webber Park location has had a bumpy history in recent years. Minneapolis closed it in 2007 as one of three libraries shuttered for budget reasons. The county reopened it in 2008 after it assumed control of city libraries. It closed abruptly in 2013 after the ceiling tiles began falling, and a temp library opened in a nearby shopping strip. The $5.9 million construction contract was awarded to Adolfson & Peterson Construction, a Minneapolis firm. The project cost also includes $1.6 million spent to buy land. The county hopes to recoup $487,500 of that by selling an adjacent site that contains a former supermarket building. Nonprofit Pillsbury United Communities is raising funds to buy the land for a food market and wellness center.